Every girl needs a deep-cleansing facial product that will get rid of those impurities hiding in the pores, causing breakouts and irritation. I’ve been on the search for such a product and along the way I chanced upon Aesop’s Facial Cleansing Masque that uses parsley seed, aloe vera, and rosehip. 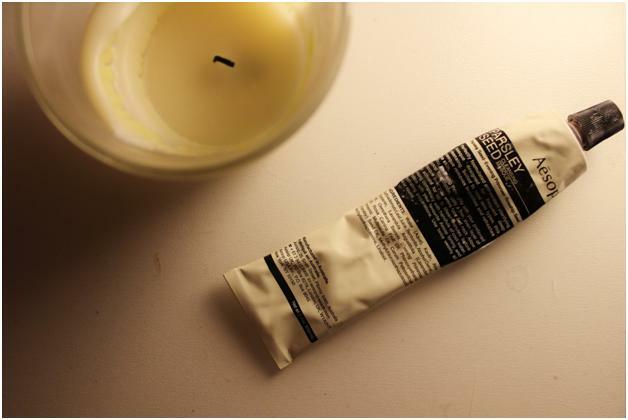 The first thing that I noticed, and I think everyone will notice it too, is the unique packaging of Aesop’s Cleansing Masque. It uses brown glass which is supposed to protect it from UV rays so that it doesn’t have to use a lot of preservatives in the product. And the smell, it was simply divine! I loved it immediately after opening the bottle. As for the product itself, I found it enjoyable to use on my skin. The cleansing mask is a sort of clay that needs to be applied to the skin for about 20 minutes before taking off. When you use it, you will really feel the mask doing its job, and after removing it, I always feel softer, smoother skin immediately. Taking off the mask is another joyful experience, since I can remove it easily, unlike other brands that need to be wiped off repeatedly to remove any stubborn residue. This product is perfect for when you’ve missed a couple of days of daily cleansing because it simply works wonders on the skin. I always feel like I’ve had an expensive spa treatment right after using it. There’s just one concern though. Aesop’s mask contains alcohol, and I think that that will not be good for those with dry skin. If you have dry skin, you can still try it, but be warned about the drying effects of alcohol. And then there’s the price. It’s fairly expensive for a cleansing mask, but I’m willing to pay a little more if I see good results on my face, and in this product I really did. Aesop’s Parsley Seed Cleansing Masque worked wonders on my skin, but I can understand if others don’t see the same effect. The skin type has something to do with it, so if you don’t have combination skin like me, you should probably try something else. This entry was posted in Reviews and tagged face cleanser, face mask, skin care trends.